"The class was fun and the stories were informative and relavant. When the ILCCW is available, I'll be bringing the entire 822nd MP Company." 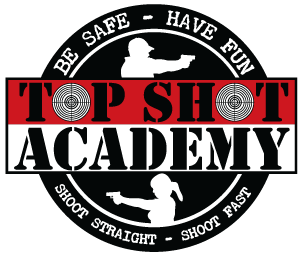 All Top Shot Academy Instructors are NRA Certified Instructors and USPSA Competitors. The combination of instruction and competition keeps us at the top of our game. Get a Concealed Carry Permit for Illinois, Florida, Arizona or Utah. Drop an email address and we'll keep you up to date on events, classes and news. $250 - All Inclusive - No Hidden Fees. Your tuition covers the class, and range fee. Optional LiveScan fingerprints available onsite from our vendor. We offer the most training options to fit your schedule. Don't wait! A right delayed is a right denied.